Earn $28.05 in VIP credit (2805 points)What's This? 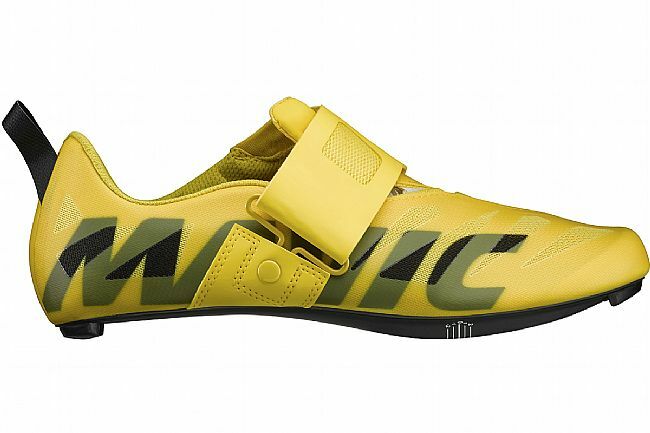 Mavic's Cosmic Ultimate SL Triathlon Shoe features a super light bonded mesh upper and an Energy Full Carbon SLR Outsole that's optimized for both stiffness and lightness. 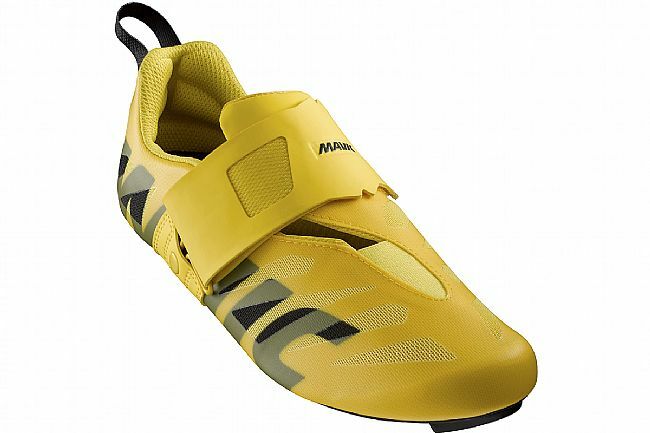 The heel loop is designed specifically for Triathlon use. The cuttable main strap is adjustable to user shape and style. Velcro under the Ortholite insole keeps it in place during transition. The bike. Comfortable with socks or without, nice stiff upper but not uncomfortable at all. Durable and well made, a bit flashy but its all good when your crushing it! 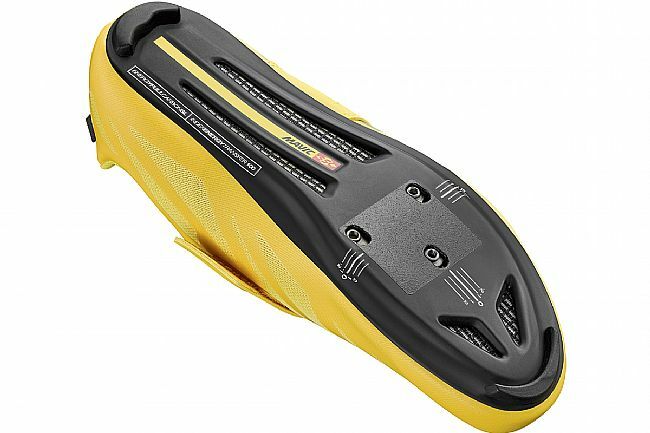 I use it on the TT bike and the road bike in the summer time when its hot out and training is stiff, keeps my feet cooler then my road shoes, Mavic also there!